As a trusted provider of high-quality elderly care, Harrisburg Home Care Assistance wants to encourage older adults to get out of the house from time to time and enjoy events in their local community. 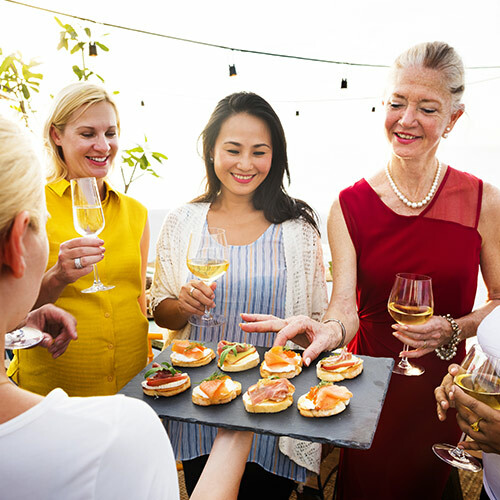 If your senior loved one is looking for something fun to do in Harrisburg, PA, these 4 events are likely to enhance his or her overall wellbeing. The East Shore Area Library at 4501 Ethel Street is hosting this adult coloring event on February 26th from 2pm to 4pm. In this class, your loved one can have an exciting time coloring and socializing with others in the group. Coloring pages and colored pencils will be furnished. Your loved one can also bring his or her favorite coloring tools and a delicious snack. Coloring is a fun activity for seniors that can help stimulate the parts of the brain related to the motor skills and creativity. The Market Square Presbyterian Church at 20 South Second Street will be hosting a fun-filled afternoon of events on February 11th. Your loved one can begin the afternoon by participating in a mood-boosting free community sing-along at 4:30pm, followed by a delicious potluck meal. The grand finale of the day will be a wonderful concert by John McCutcheon featuring feel-good folk music at 7:30pm. Admission for the concert is $25. The National Civil War Museum at 1 Lincoln Circle will be hosting a free community day filled with creative activities on February 18th from 10am to 4pm. At this event, your loved one will have the chance to mingle with other people in the community while participating in a day of exciting activities ranging from coloring at stations to trying on period clothing and having pictures taken while dressed up. The Wildwood Park at 100 Wildwood Way will be hosting an exhilarating 3-mile walk on February 19th at 1pm. Active seniors can get some exercise outdoors and fresh air while socializing on this group walk. The hike will take place on the easy Towpath Trail and the moderate Wildwood Trail, which has hills. Walking these trails can enhance your loved one’s mood and benefit his or her heart. If your loved one needs additional support to attend events such as these, reach out to Home Care Assistance, a leading provider of comprehensive Parkinson’s, stroke, and dementia home care. Harrisburg, PA, seniors can rely on the caregivers at Home Care Assistance to provide transportation and social companionship and assist with daily tasks like bathing and grooming. Call (717) 540-4663 today to speak with a friendly Care Manager and learn more about our at-home care services.